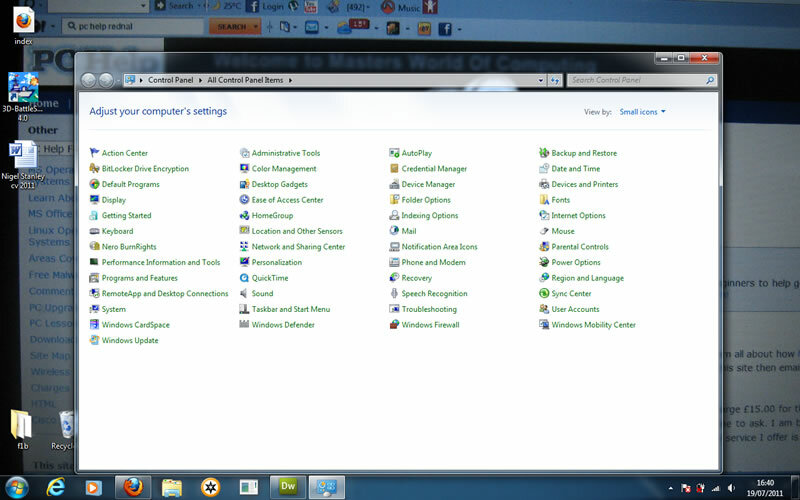 This tutorial will show you how to remove a password from a windows 7 account. Just follow the instructions below. This tutorial assume you have access to the windows account you want to remove the password from. It will not show you how to crack or bypass the password. Do not forget to look at ,my other windows tutorials on offer here. The first thing you need to do is open up the control panel. So click on start, then left click on "Control Panel" this will open the control panel like in the screenprint below. Then you need to click on "User Accounts" when you do the window will change to the screenprint below. You now need to left click on the user account you want to remove the password from. 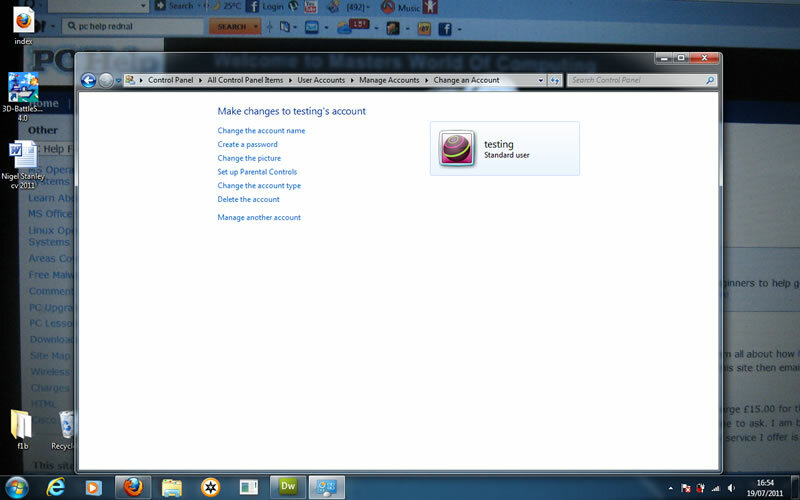 In this example I wil remove the password from the account called testing. So if you look at the screenprint below you will see what happens when you left click on the account you want to remove. You will now see a list of options you need to click on "Remove the password"
Once you click on "Remove the password" you will see your screen change to the one below. You know need to click on "Remove Password"
The screen will now change to the one below. Thats it your done if there is another tutorial you would like me to have a go at doing then leave a comment on my comments page which is here. If you found this "windows 7 remove password" tutorial usefull then please leave a comment on my feedback page. You will find my other Windows 7 tutorials here. If you would like to know how to create a password for a windows 7 user account look here.